ATTENTION MARYLAND FAMILIES: The State of Maryland, in conjunction with The Archdiocese of Baltimore Catholic Schools, is once again offering an exciting program regarding tuition assistance available for students of non-public schools. If you think your family is eligible, we encourage you to apply. 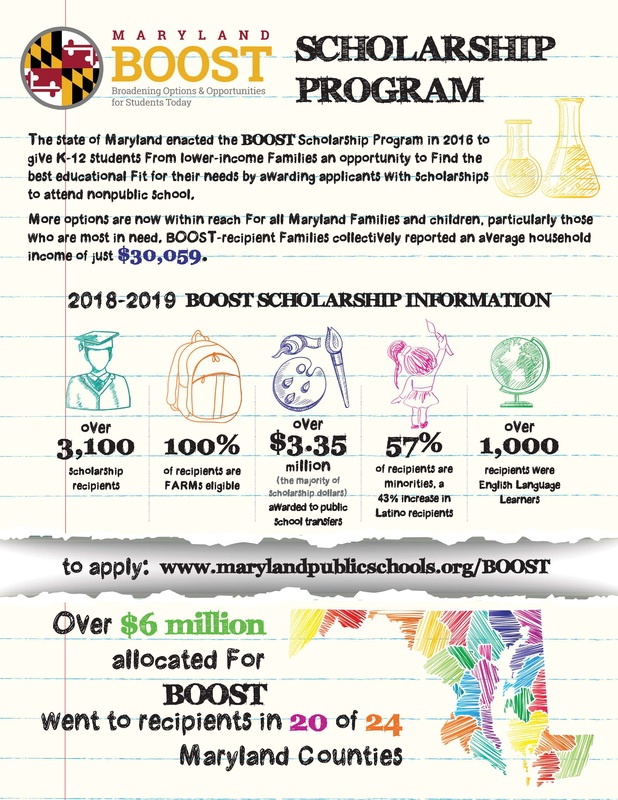 You can read about the program and find out if your family qualifies here: www.marylandpublicschools.org/Pages/boost/index.aspx. As in previous years, documentation that your student is enrolled at BW can be obtained from the Business Office.